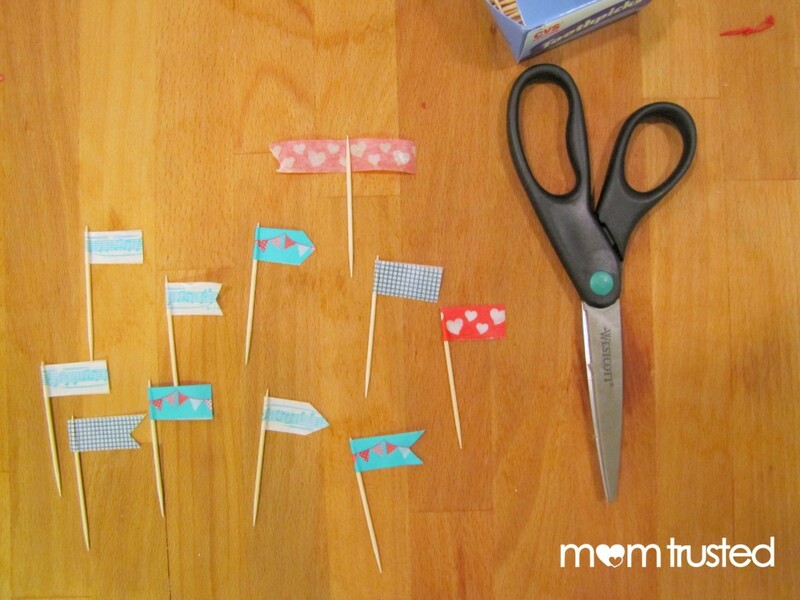 Here’s a way to make some super cute and super easy muffin toppers! 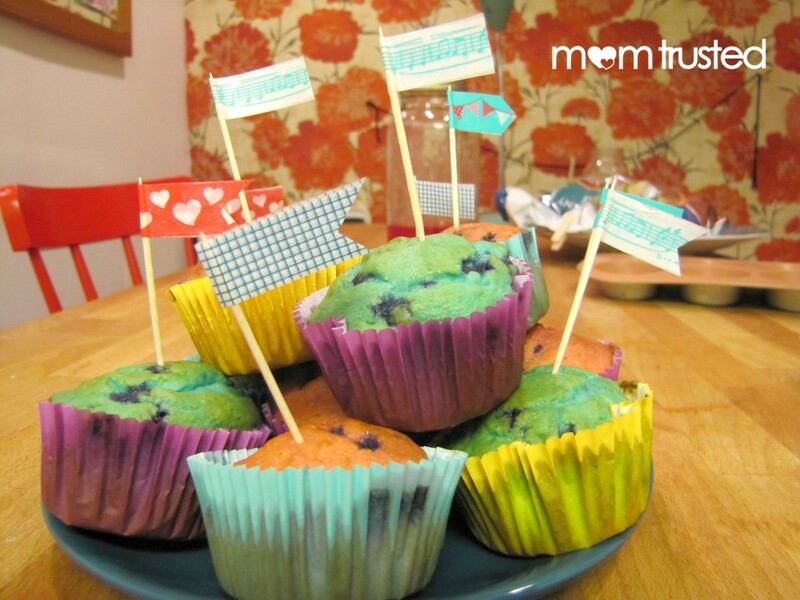 They look great with our wild-berry muffins and are a good activity to get into while you wait for the muffins to bake (especially if you have antsy little bakers around). 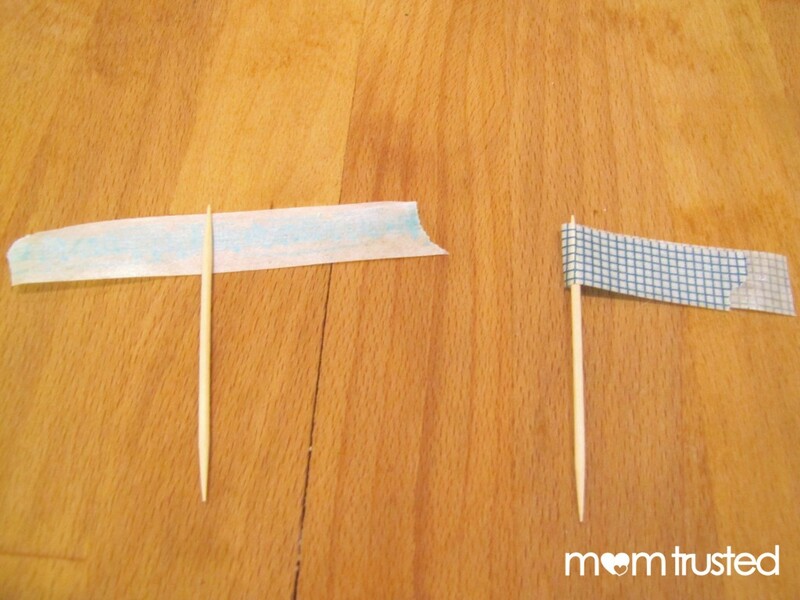 you’ll have uneven ends, so you can trim them into flat or pointed edges. 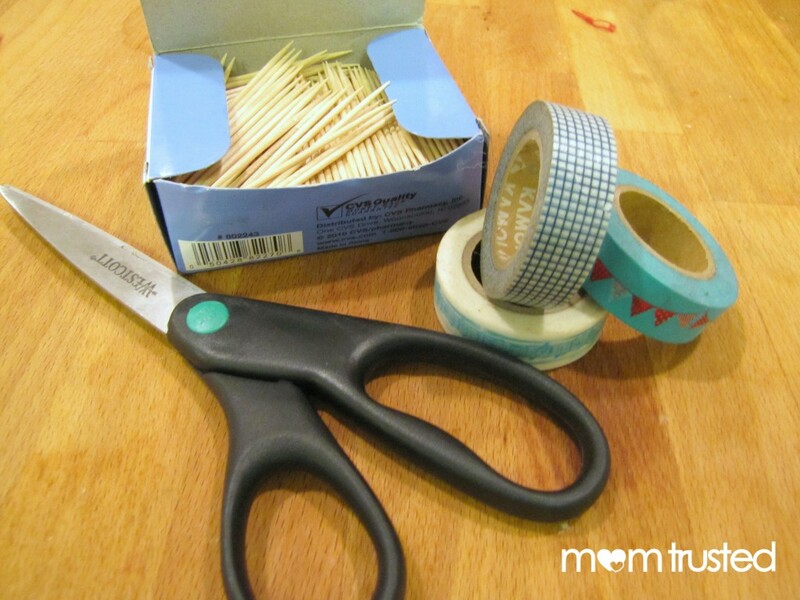 If you’ve got a good little cutter on your team, let them help with this part! 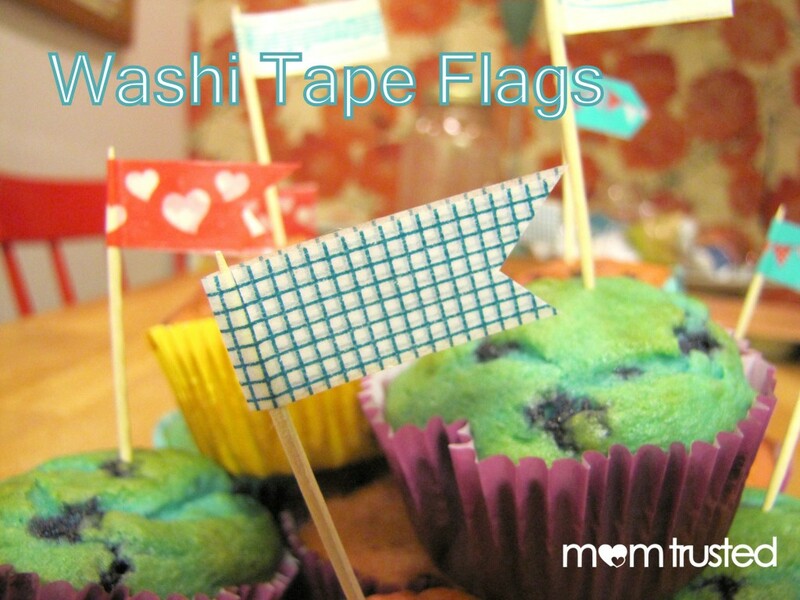 The best part is mounting the flags into a pile of muffins, and then sharing them with friends!